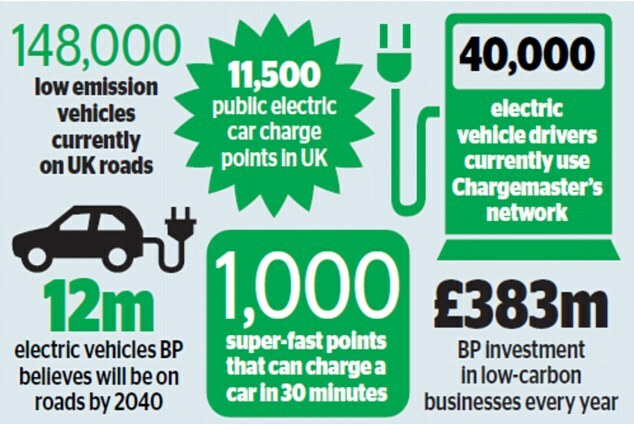 Oil giant BP unveiled plans to put thousands of electric car charging points on forecourts after it bought tech firm Chargemaster for £130million. The takeover of the UK’s biggest car charging company gives BP access to technology to install super-fast chargers in its network of 1,200 petrol stations in the UK and on streets. The firm’s estimates predict the number of electric vehicles on British roads will accelerate to 12m by 2040. Currently, BP has only a handful of its own electric car charging points. The FTSE 100 company’s latest data showed that renewable power was the fastest growing source of energy last year. The deal with Chargemaster has added more than 6,500 outlets across the country. Venture capital firm Beringea cashed in on the sale of Chargemaster. As the largest institutional investor, it made around £15million from the sale. But Chargemaster’s chief executive David Martell held the largest stake and will have pocketed around £40million from yesterday’s deal. The serial entrepreneur made millions after successfully floating his traffic information business Trafficmaster in 1994. The oil giants are in a race to corner the market for electric cars, and are having to diversify beyond petrol and diesel. Erginbilgic said the Chargemaster deal would help BP become ‘the leading provider of energy to low-carbon vehicles, on the road or at home’. Chargemaster currently operates the Polar network of mains-charging points in streets and car parks across the UK, which drivers can use on either a monthly subscription or pay-as-you-go basis. The firm also creates points for customers to install in their home. 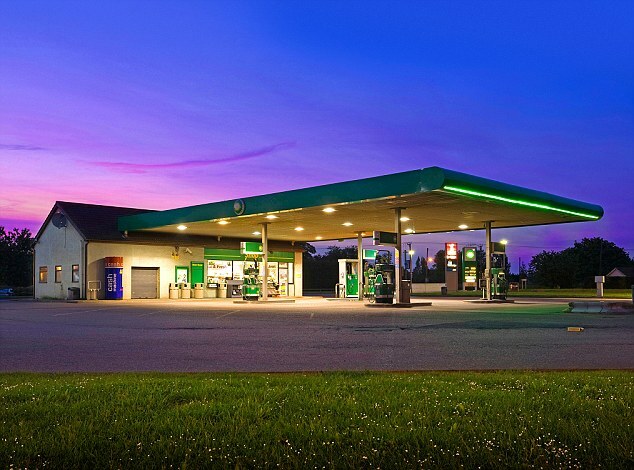 BP wants the company to help it roll out sockets across all of its forecourts. Rapid chargers, which can give a car enough power in 10 minutes to run for 100 miles, will be a priority. It also hopes the addition of electric chargers will drive more customers to its Marks & Spencer franchise stores and Wild Bean cafes in many of its stations. The move towards electric is also being driven by competition. Shell bought charging company NewMotion last year, and major car manufacturers are moving into electric vehicle production. BP has vowed to spend £383million a year on low-carbon businesses. This year it has ploughed £3million into mobile electric car charging business FreeWire, which uses battery technology, and £22million into ultra-fast battery manufacturer StoreDot. In February BP said it would collaborate with the Renault-Nissan-Mitsubishi alliance in developing vehicle technologies, and in May it said it planned to invest in NIO Capital, a private equity fund focused on electric and autonomous vehicle businesses.